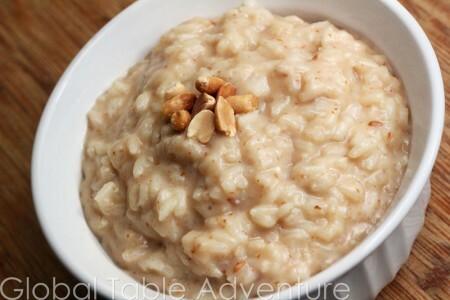 If you’re looking for a sweet treat, but the pantry is rather dry, this African peanut butter rice might do the trick. The dish reminds me of peanut butter rice pudding – thick, sweet, and comforting. 2. 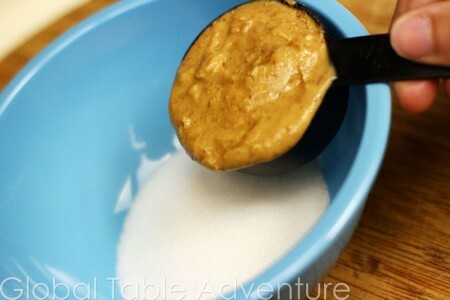 Meanwhile, mix together peanut butter, sugar, and 1/8 cup water. Natural peanut butter is best because then you can control how sweet your dessert is. I could eat this straight from the bowl. Mmm. 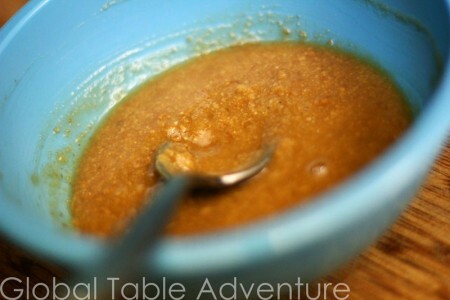 … pour peanut butter mixture over rice and stir in. 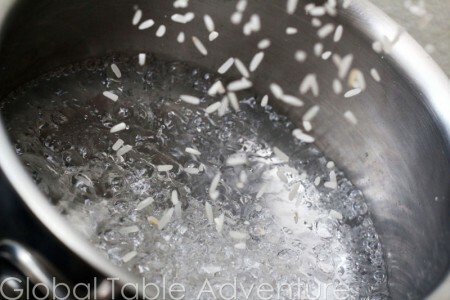 Continue simmering until rice is perfectly tender. 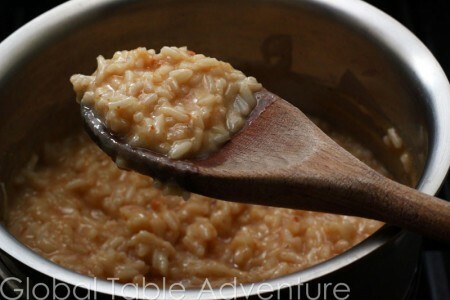 Add water as necessary to keep the consistency loose, like rice pudding. Enjoy warm or cold, with a big sweet tooth. 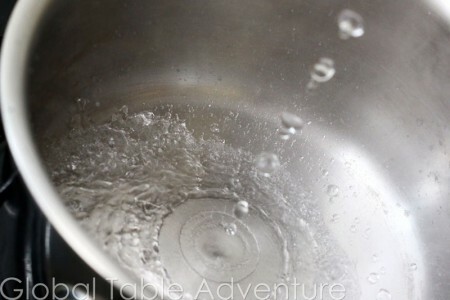 Boil water. Add rice and simmer uncovered for 15 minutes. 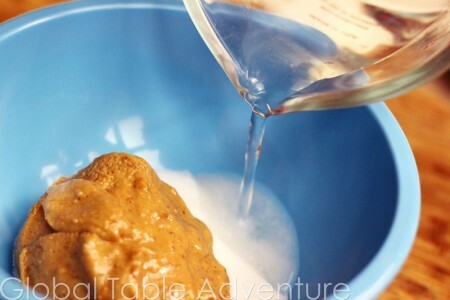 Meanwhile, mix together peanut butter, sugar, and 1/8 cup water. 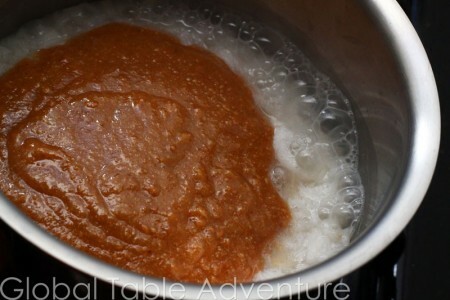 When the rice is almost done cooking pour peanut butter mixture over rice and stir in. 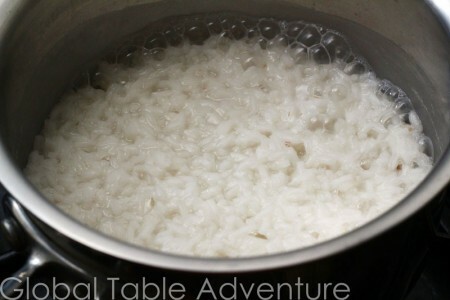 Continue simmering until rice is perfectly tender. 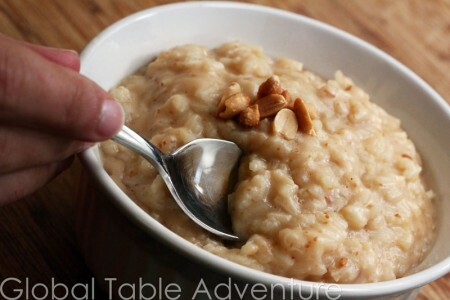 Add water as necessary to keep the consistency loose, like rice pudding. Enjoy warm or cold, with a big sweet tooth. Wow. Just wow. I just found this and made it yesterday. So simple, incredibly yummy and a new fave. Thank you. 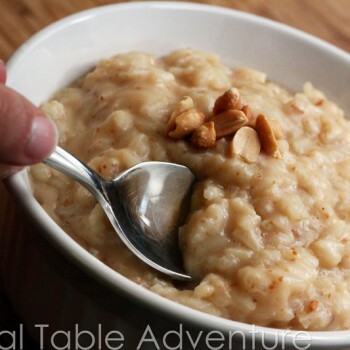 Stumbled upon this recipe while looking to make something out of rice and peanut butter. Extremely easy to make, everything i needed I already had. =) I like trying different things so I added shredded coconut to it and it tastes amazing! Also, is there a traditional name to this? Sounds great! It’s just bouiller, as far as I saw. Glad you enjoyed it! Just made it, it’s delicious! Thank you! This stuff was super easy and wow on that taste. I was stunned on the taste. Wanted rice this morning and started cooking it before I noticed I didnt have any butter to add just sugar ..looked for receipt for PB and oh my even done in the microwave it turned out great. I didnt even use measuring cups and nailed it on the first go with just adding pb and sugar mixed with water 2 mins before the timer was done … like mine kinda of soupy.